Film badges, film badge dosimeters, are small portable devices for monitoring cumulative radiation dose due to ionizing radiation. Principle of operation is similar as for X-ray pictures. The badge consists of two parts: photographic film, and a holder. The film is contained inside a badge. The piece of photographic film that is the sensitive material and it must be removed monthly and developed. The more radiation exposure, the more blackening of the film. The blackening of the film is linear to the dose, and doses up to about 10 Gy can be measured. Film badge dosimeters are applicable to situations where real-time information is not needed, but accumulated dose monitoring records are desired for comparison to field measurements or for assessing the potential for long term health effects. 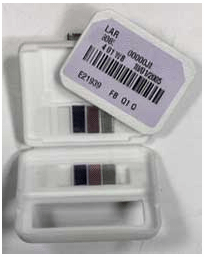 In dosimetry, both the quartz fiber and film badge types are being superseded by TLDs and EPDs (Electronic Personal Dosimeter). Film badge dosimeters are for one-time use only, they cannot be reused. A film badge dosimeter is dosimeter, that is worn at the surface of the body by the person being monitored, and it records of the radiation dose received. The film badge is used to measure and record radiation exposure due to gamma rays, X-rays and beta particles. The badge incorporates a series of filters (lead, tin, cadmium and plastic) to determine the quality of the radiation. To monitor beta particle emission, the filters use various densities of plastic or even label material. It is typical for a single badge to contain a series of filters of different thicknesses and of different materials; the precise choice may be determined by the environment to be monitored. There is an open window that makes it possible for weaker radiations to reach the film. A thick plastic filter which passes all but the lowest energy photon radiation and absorbs all but the highest beta radiation. A dural filter which progressively absorbs photon radiation at energies below 65 keV as well as beta radiation. A tin/lead filter of a thickness which allows an energy independent dose response of the film over the photon energy range 75 keV to 2 MeV. A cadmium lead filter can be used for thermal neutrons detection. The capture of neutrons ((n,gamma) reactions) by cadmium produces gamma rays which blacken the film thus enabling assessment of exposure to neutrons. 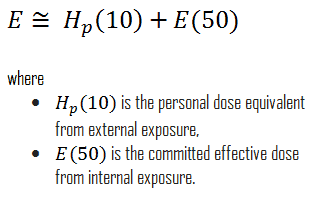 Film dosimeter must be worn on a position of the body representative of its exposure. Therefore, the badge is typically worn on the outside of clothing, around the chest or torso to represent dose to the “whole body”. Today, film badges are still in use worldwide worn by people such as x-ray technicians and nurses, who may be exposed to radiation. 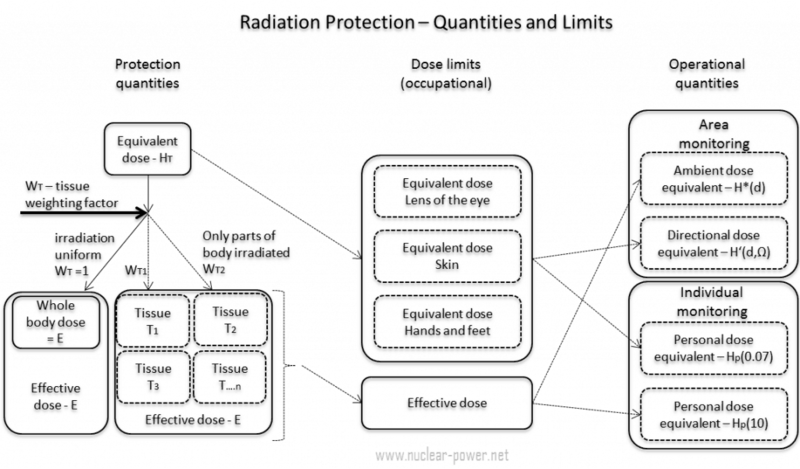 On the other hand, there has been a trend towards using other dosimeter materials that are less energy dependent and can more accurately assess radiation dose. Film dosimeters are being replaced usually by thermoluminescent dosimeters (TLDs), aluminium oxide based dosimeters, and electronic personal dosimeters (EPDs). A film badge as a personnel monitoring device are very simple and therefore they are not expensive. A film badge provides a permanent record. Film badge dosimeters are very reliable. A film badge is used to measure and record radiation exposure due to gamma rays, X-rays and beta particles. Film dosimeters usually cannot be read on site instead of they have to be sent away for developing. Film dosimeters are for one-time use only, they cannot be reused. Exposures of less than 0.2 mSv (20 millirem) of gamma radiation cannot be accurately measured.